Heading to the beach much this year? If so, you have to check out our fun, personalized beach coolers. 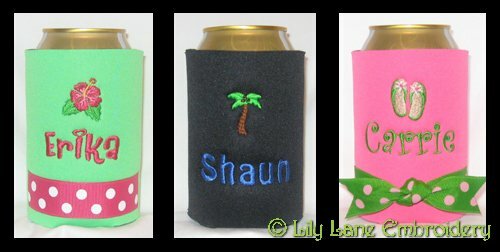 Customize them with your name, a mini beach design and/or ribbon for a fun beach accessory for your beverages. Going on vacation? Check out our custom Mexico coolers on our beach cooler page below. 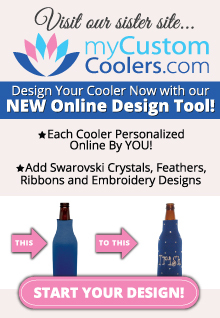 Design some fun custom can coolers or personalized bottle coolers for your group to use on the trip and to keep as a memento to remember the fun trip long after the vacation is over.